Jacqueline Simcox specialises in silk textiles from China and Central Asia, and has examples from India and Southeast Asia, together with works of art. 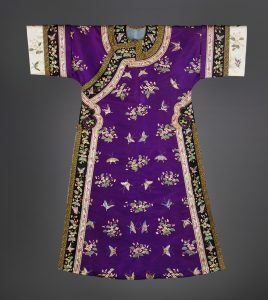 Textiles include court costumes, palace furnishings, silks for Buddhist and Daoist use, as well as wall hangings, pictorial subjects and other decorative pieces, dating from the 2nd-19th centuries. Jacqueline Simcox was director of the Oriental Department at Spink, the London fine art dealers, before starting her own company in 1996. She has written numerous articles on Chinese textiles, catalogued private collections and contributed essays to museum exhibition catalogues. She lectures at the Victoria & Albert Museum and the Royal Academy, and teaches post-graduate students at SOAS, London University.